Sign up to learn about upcoming workshops. Larry Crane, editor and founder of Tape Op Magazine, owner of Jackpot! 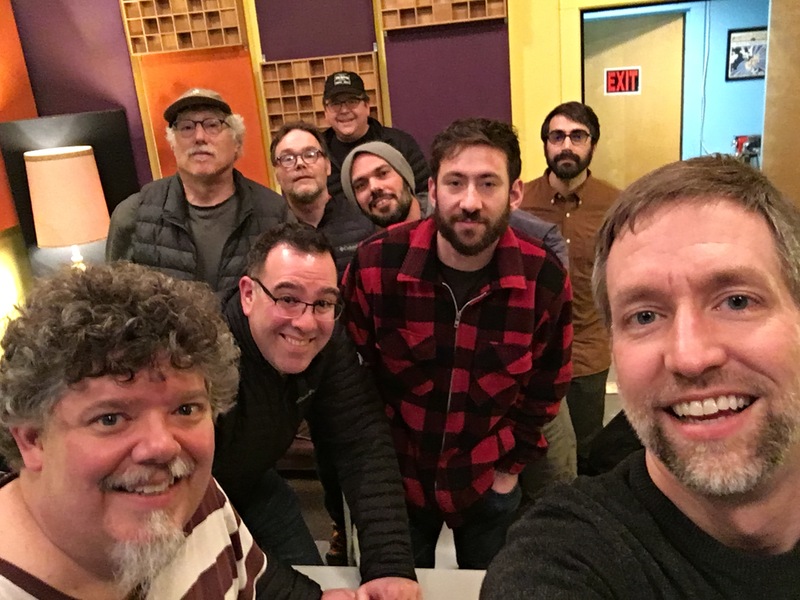 Recording Studio, Archivist for Elliott Smith and a successful producer/engineer with hundreds of albums to his credit, occasionally presents his Weekend Recording Workshops for recording engineers, musicians and producers. These seminars are two eight hours days (11 am to 8 pm), including a one hour “lunch” break (3-4 pm), and cost is $400 per person. Class is always limited to 10 students. The workshop are about examining the attendees recording and mixing work, and discussing ways to improve their art. Students will be asked to bring mixes of two songs to discuss (thought we usually only fully get through one), as well as digital multitrack files of these songs. Larry will discuss what changes could have been implemented in order to increase the track’s effectiveness. This includes examining overall and specific recording techniques, song arrangement, specific sounds, instrument choices, how sounds work together, and special attention paid to mixing techniques. Some details will be explained by showing basics of mic’ing techniques. Others will be demonstrated via mixing. We’ll try to get to every song, but please understand that we may run out of time and that lessons learned on other’s work will apply to everyone’s own work. This workshop is geared towards home recordists, beginning engineers, self recording musicians, and anyone who wants to further their understanding of the music recording process and improve their results. The goal is to discover simple and effective ways to create better recordings using gear already available. 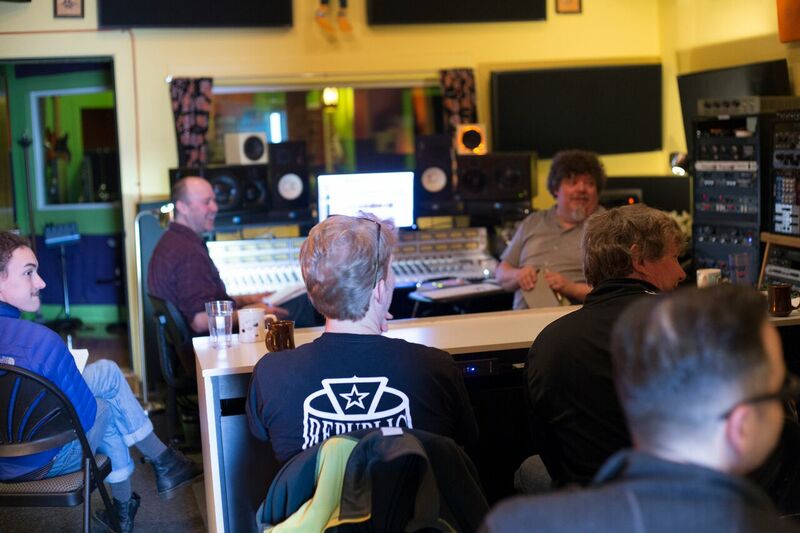 A large part of the workshop is about breaking down misguided and limiting preconceptions about the recording process. Specific gear that will help the recordist will be discussed as well. The typical skill level for students is someone who’s learned the basics but would like to hone their craft. * Examining arrangement, sounds, instruments, performance, timing, tempo, pitch, feel, etc. 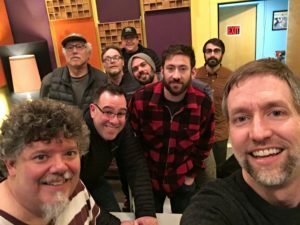 Any tracking and mixing demonstrated will be done in Pro Tools (or ineptly in Logic), but specific techniques regarding platforms/DAWs will not be the focus of the workshop. Any skills illustrated will be universally applicable to recording, whether on tape or with a computer on any platform. If you’re interested in future workshops sign up here. If a workshop has been announced sign up via Jackpot!’s studio manager. If you can gather up ten people in your area (outside of Portland) that might be into a workshop, please drop Larry a line. Emails will be sent before the workshop with the schedule and details of what to bring with you. Course fees are non-refundable if canceled 30 days or less prior to the workshop unless we fill your vacated spot.